Naftopidil, a medication used to treat benign prostatic hyperplasia (BPH) outside the United States, lowers blood pressure in BPH men with hypertension while having no effect on those with normal blood pressure, a Korean study found. The drug, an alpha-blocker, also improved prostate symptoms and quality of life measures in patients with both normal and elevated blood pressure. The study, “Clinical Efficacy and Safety of Naftopidil Treatment for Patients with Benign Prostatic Hyperplasia and Hypertension: A Prospective, Open-Label Study,” appeared in the Yonsei Medical Journal. It was conducted by researchers at two Korean institutions, Catholic Kwandong University and Yonsei University College of Medicine, who decided to study naftopidil’s effect on blood pressure. They recruited 118 men into an open-label study, 90 men with normal blood pressure and 28 with hypertension. The two groups were then split further, with patients given either 50 mg or 75 mg of naftopidil for 12 weeks. The daily treatment reduced blood pressure in patients with hypertension. Researchers noted similar reductions in patients given 50 mg and 75 mg naftopidil, and the effects were seen in both systolic and diastolic blood pressure. In contrast, blood pressure measurements in those with normal blood pressure at the beginning of the study showed no significant changes. 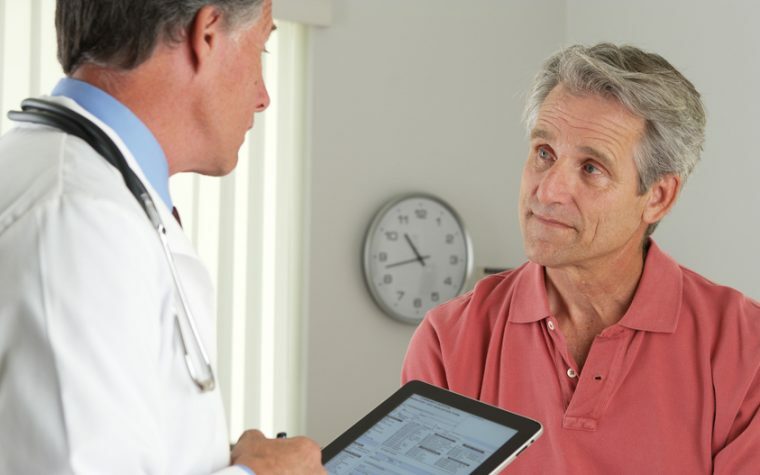 Twelve weeks of treatment also lowered the patients’ International Prostate Symptom Score (IPSS). Looking specifically at subscores measuring obstruction and irritation, all patients improved during the study, and they also improved urinary flow rates. The improvements in symptoms translated to a better quality of life among all patient groups. The research team also evaluated the treatment’s safety, and found fewer adverse events reported among those receiving the higher dose — 7.8 percent in the 50 mg group, versus 2.9 percent in the 75 mg group. Importantly, at least 76.6 percent of all men said they benefitted from naftopidil. The vast majority expressed a willingness to continue with the treatment, though more patients in the lower-dose group wanted to continue (95.7 percent) than in the higher-dose group (86 percent). Those who stopped the treatment did so because of side effects, most commonly stomach problems and dizziness. Although the research team cannot explain how naftopidil reduces blood pressure in BPH men with hypertension, they suggest that this additional benefit makes naftopidil a suitable drug to use in this patient group. Even so, they urged more research to understand how the drug acts to control blood pressure. Tagged alpha-blocker, blood pressure, hypertension, naftopidil.